Elie Paul Cohen - The Story of a French Doctor, in the French Specia Forces, deployed alongside the Bristish Army in Afghanistan. Médecin de guerre de l'Afghanistan à Paris, will be published by SparkPress in September 2018. 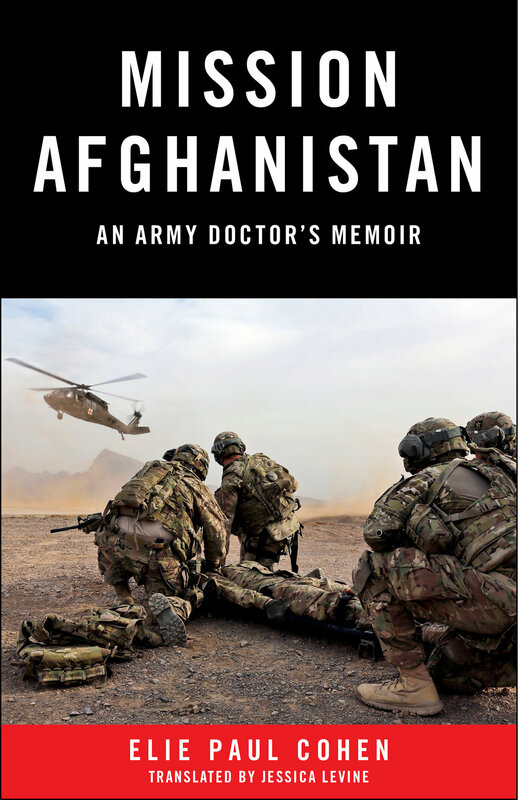 MISSION AFGHANISTAN: An Army Doctor's Memoir tells the true story of Elie Paul Cohen, a civilian emergency physician who was recruited to serve as an army doctor in Afghanistan. A pacifist in his youth, Elie had once refused conscription and military service in France. But decades later, a surreal sequence of events involving the Israeli, British and French intelligence services led him to join the French Military. After two years of training, including time with the "Marine Commandos" and French special forces in Djibouti, Elie was deployed in Afghanistan as a liaison emergency doctor in Camp Bastion, the largest British Military base since World War II. His mission: to study Damage Control Resuscitation, a new treatment for polytraumatized soldiers, developed by British medics in Afghanistan, so that he might share it with the French Military Health Service. On his return to Paris, Elie continued working in the emergency medical service, where they use the protocols he learned to treat civilian victims of domestic terrorism. A memoir that reads like a spy thriller, Elie’s story offers a unique perspective on the conflict in Afghanistan and the medical challenges presented by the expansion of terrorism into Europe and America. Médecin de guerre de l'Afghanistan à Paris, published by Le Passeur Éditeur (2016).